Sometimes it takes a little extra effort to track down and purchase great music. Thanks to the internet, local record stores are just a mouse click away for better or worse. Record labels and artists now can ship an album to your doorstep, even if they’re located in another country or hemisphere. Listeners can also invest in their favorite songwriter’s next project via Kickstarter and PledgeMusic campaign with added perks beyond a CD, vinyl, or digital download copy of the new release. I put some fault on the state of terrestrial radio that does not promote the Americana genera of music in certain geographic areas. In turn, the fan base is not created to bring some of these artists to your neck of the woods to perform. Of course, this can be discussed and debated till the cows come home, but it is from my perspective in Northeast Ohio that it takes a lot of good fortune to come across something so beautiful from three folks who hail from Ontario, Canada like Colin Linden, Tom Wilson, and Stephen Fearing. I didn’t know much about Blackie and the Rodeo Kings until I was turned onto a few tracks from Kings and Queens released in 2011. My ineptness was never more magnified when all these guys wearing black Nudie suits walked into the bathroom aka makeshift green room prior to the band performing a showcase at the Americana Music Association conference. Those guys put on quite a show that evening and I have appreciated their collective songwriting craft ever since. It also took me awhile to connect the dots from Tom Wilson to his side project LeE HARVeY OsMOND, who released a record called A Quiet Evil in 2009 that I had been searching for in vein after program director Mike Marrone from SXM The Loft included it on his top releases of the year. 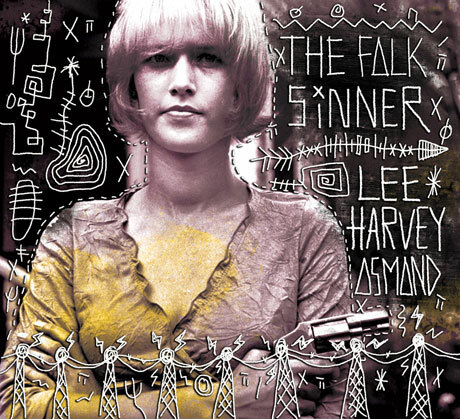 Of all the records I covered last year, The Folk Sinner by LeE HARVeY OsMOND made my Best of 2013 list without doing a feature on it since I didn’t have a copy in hand. Like many of you, we grew up holding the album jacket and reading through the liner notes ( many times I refer to my column as liner notes) to find out who played what and who sang what on each track. It wasn’t available in the States, so I used a digital download to absorb the ten tracks from the ensemble’s second release that has a rhythm and flow that’s just plain mesmerizing. Call it what you want, acid or psychedelic folk, but songwriter Tom Wilson created a masterpiece of songs inspired from growing up in the blue collar working class neighborhoods of Hamilton. The record opens with the touching “Oh Linda” which is followed by an ode to Johnny Cash called “Devil’s Load”. A story about a muscle car boozing neighbor that tries to make a living as big time wrestling “chump” is “Break Your Body Down”. There is a beautiful duet with Oh Susannaon “Big Chief”, a song Wilson co-wrote with his aspiring sixteen year old son. The guitar riff in “Honey Runnin’” and the musical arrangements in “Freedom” will captivate you as will the lead single “Love Everyone” will hook and reel you in. Margo Timmins from The Cowboy Junkies helps close out the record on another duet “Deep Water” which was produced by her husband Michael Timmins. 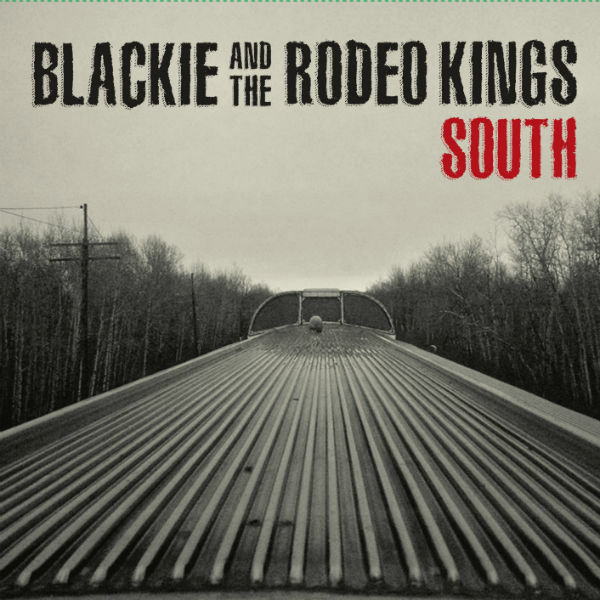 As we roll over into 2014, Blackie and the Rodeo Kings (BARK) have a new record being released this week titled South. 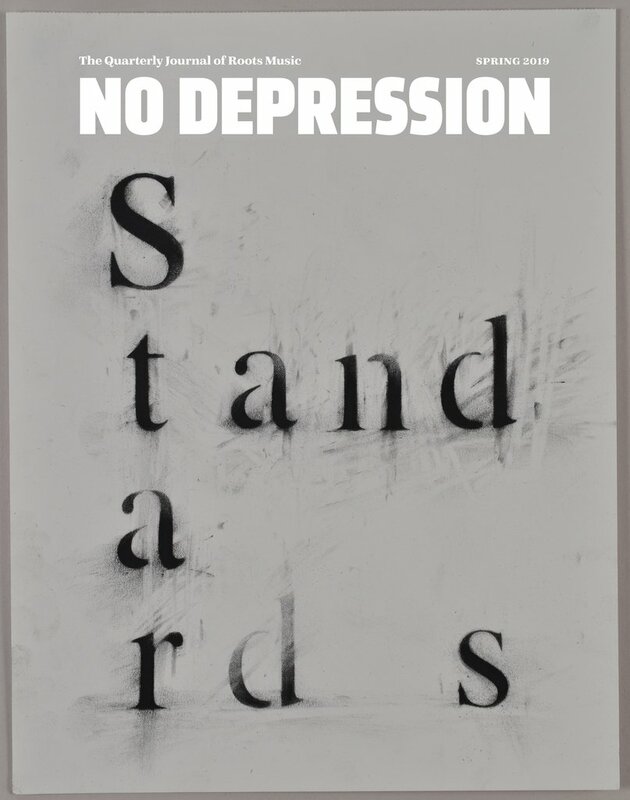 Named after an album by Willie Bennett, this side project has churned out seven previous records since 1996 with either original material or mixed with covers. While on tour during Kings and Queen, an album of duets with some talented female vocalist like Lucinda Williams, Rosanne Cash, Amy Helm, Emmylou Harris, Sam Phillips and Sara Watkins,the boys would jam out acoustically at the merch tent. 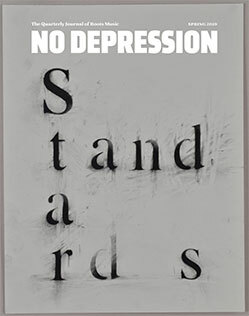 The stripped down performances were much different than the mostly electric sets that BARK was renowned for. Guitarists Wilson, Fearing, and Linden were rejuvenated to write and collected enough original material amongst the three songwriters to record a complete album. Along with bassist Johnny Dymond and drummer Gary Craig, BARK met at Linden’s Pinhead Recording studio in Nashville to make the new album titled in honor of the location. South has an almost timeless sound of a bunch of Nashville players sitting around the kitchen singing and pickin’. 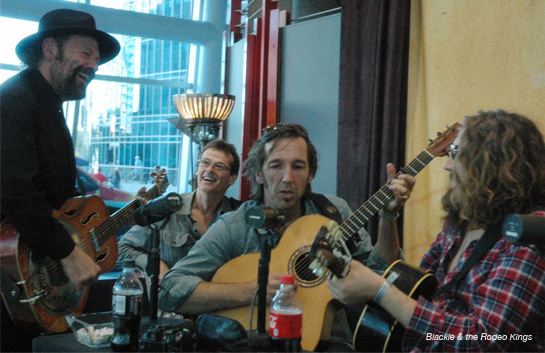 Wilson provides vocals for the lead track “North” with some dobro fills from Linden along with several wonderful tracks including “Gotta Stay Young”, “Blow Me A Kiss”, and “I’m Still Loving You”. Linden takes the mic for ‘South” and duets with Wilson on the lone obligatory Bennett cover “Driftin Snow” and “Fluer De Lys”, a song that closes with some hints of Rod Stewart’s “Mandolin Wind”. 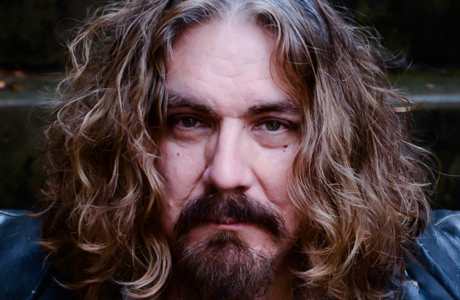 Fearing takes his turn with the heartbreaking “I’d Have To Be a Stone”, the bluesy “Everything I Am”, and the instant country classic “Try Try Try Again”. Linden collaborated with longtime songwriter Gary Nicholson on “Reinventing The Wheel of Love”. Because each of the members of BARK are so busy with individual or side projects, it is always a special occasion when the Canadian brotherhood can come together and make music. So putSouth on the stove and let it simmer for several spins. Then it will just melt in your heart and be a very nice edition to your audio collection. Hopefully, Bark will be hitting the road and garnering new fans as well as reminiscing with old ones. I have used some of my holiday gelt to order both of the LeE HARVeY OsMOND albums via the Latent Recordings web page, so soon they’ll be crossed off this audiophile’s wish list.